The DFPlayer Mini MP3 Player is a small and low price MP3 module with an simplified output directly to the speaker. The module can be used as a stand alone module with attached battery, speaker and push buttons or used in combination with an Adruino or any other with RX/TX capabilities. Supported sampling rates (kHz): 8/11.025/12/16/22.05/24/32/44.1/48. 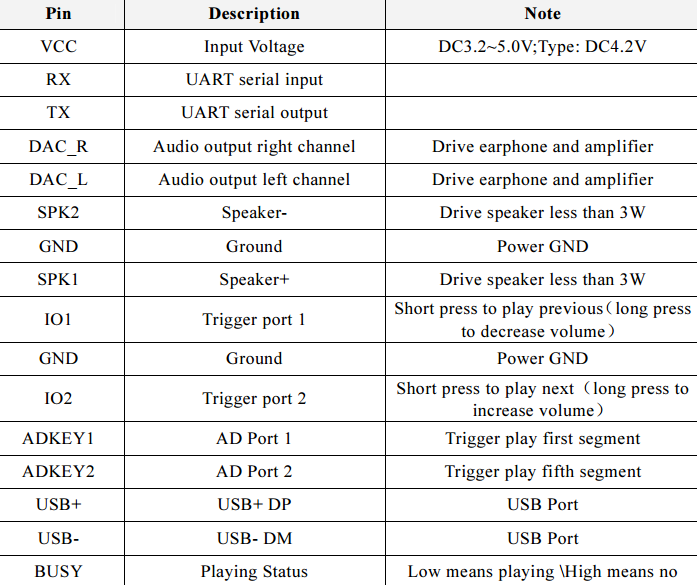 24 -bit DAC output, support for dynamic range 90dB , SNR support 85dB. Fully supports FAT16 , FAT32 file system, maximum support 32G of the TF card, support 32G of U disk, 64M bytes NORFLASH. A variety of control modes, I/O control mode, serial mode, AD button control mode. Advertising sound waiting function, the music can be suspended. when advertising is over in the music continue to play. 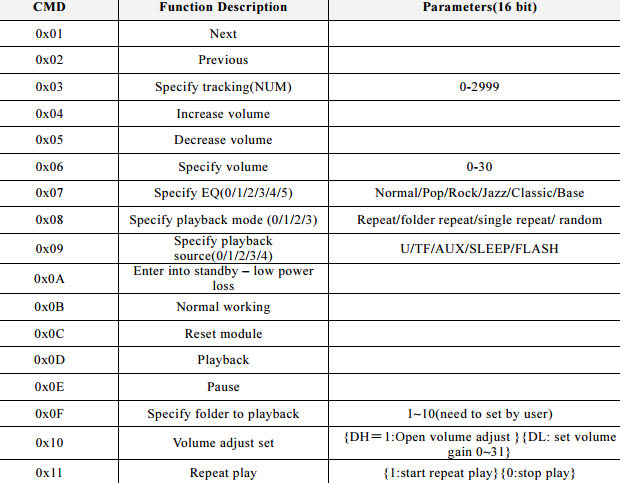 Audio data sorted by folder, supports up to 100 folders, every folder can hold up to 255 songs. Here comes the most simple way to use this module. Note:Short time press means pre/next,and long time press means vol- ,vol + . Note: For simple use ,the upper diagram is ready,But if you find the noise is quite loud, then you could attach an 1K resistor to the TX pin. 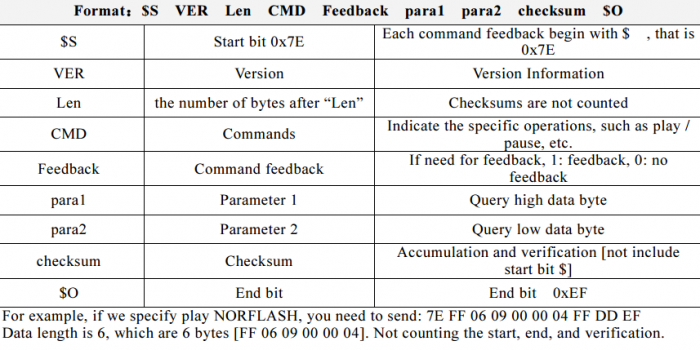 Select Example code for UART and SOFT_UART. 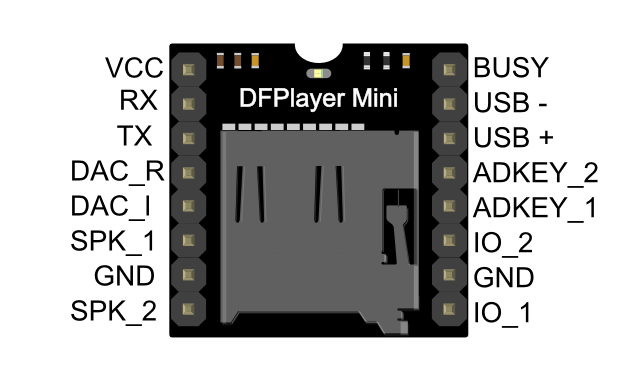 We’ve created an Arduino library for DF Player Mini to simplify the method for you to make it work. 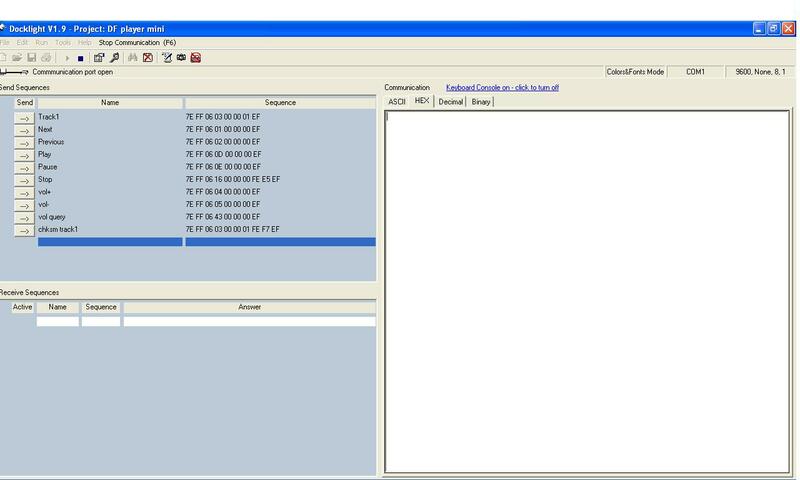 Connect the hardware as the picture above shown and play with the sample code. 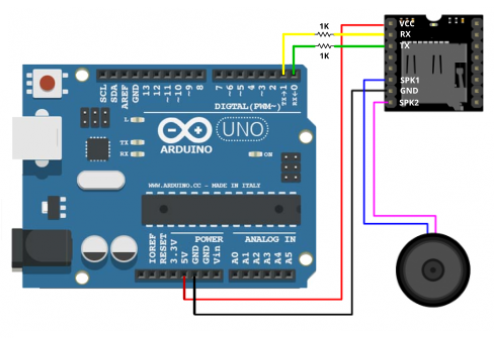 Download the zip file given below and install it in the arduino platform. The suitable header files and sample codes are there in the file itself. 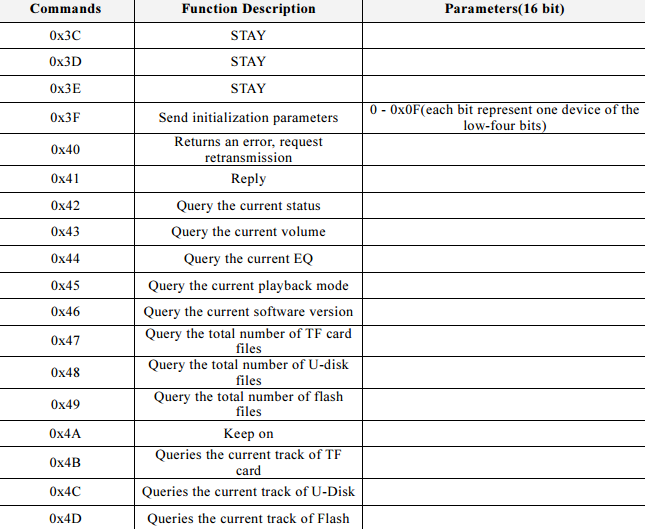 2 Responses to "Mini MP3 Player Interfaced with Arduino"
The hex commands are used for each function in Mini MP3 player.The commands are given through serially.Use appropriate command in your code. The commands are given in the below link.